Everyone likes to unwind after a long day. Some soak in the tub, some settle in with a book or tv show, and some have a glass of wine. But however you recharge your batteries, there’s one thing everyone has in common: when it’s time to relax, we light a candle. 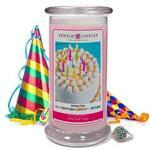 At Jewelry Candles, they want your relaxation to be a little more glamorous. 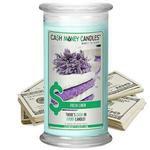 That’s why they use the most decadent scents in each of our scented jewelry candles. They have a candle for all seasons, so you can enjoy the perfect ambiance on any occasion (and receive a special surprise in each candle)!